Nigeria is called the “Giant of Africa” because of its enormous population size. It is, of course, the most populous country in Africa of over 200 million people. Nigeria’s population growth rate has been said to be highly incremental over the years. The first effort to measure the population size of Nigeria led to the first census of the country in the year 1854. Thereafter, a series of attempts were made in 1866, 1868 and 1871 but covered only the Lagos Capital Area. The first census which covered entire Nigeria reveals that Nigeria’s population growth was 15, 974,670. Thereafter, another census was taken in 1931 and it recorded a total figure of 18.6 million people. Nigeria has experienced a continuous increase in the population rate. 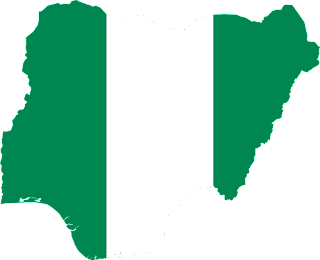 Over the years, the country, Nigeria has not necessarily witnessed any noticeable decrease in its population size, the population is rather proliferating too fast. Although being called the “Giant of Africa” may sound like a blessing, it is, of course, a curse in disguise. The dangers of over-population are of course myriad and varied. Over-population has long journeyed its way into the hearts of Nigeria while the Nigerians have rejoiced and welcome its arrival. There is no doubt that Nigeria has a very unsteady economy. In the year 2015, Nigeria’s economy was seriously impoverished, making the country to announce recession. For good four years, which is to 2019 now, the economy remains in dire straits. The poverty level of Nigeria increased during this period. Commodities in the country became very high as a result of scarcity. There is simply not enough for the millions of Nigerians who keeps proliferating. Nigeria overpopulation is affecting the cost and sufficiency of food in the nation. As a result of this, the food cost in the market is unfavorably high. This has made a lot of Nigerian complain. Normally, they would shift all blame to the political administration of the country. The increasing influx of people in Nigeria has narrowed down the golden opportunities of graduates who seek white collar jobs immediately after they graduate from the higher institutions. Every year, over 100, 000 students are disgorged from Nigerian universities. For instance, the University of Port-Harcourt disgorges about 18, 000 students in their 2015/2016 session; this is an enormous population of graduates. Although Nigeria has so many companies and establishments, they simply cannot serve over 100, 000 students that graduate from Nigerian universities each and every year. Unemployment leads to crime, as an idle man is the devil’s workshop. As a result of very exiguous employment opportunities for so many Nigerians, most of them have decided to follow the devil’s road to make wealth. So many crimes, hidden and revealed are going on in Nigeria. Each and every time, the country’s leaders speak of corruption and crime weight of the country. As a result of the high population density, there is always an inadequate health service to commensurate the ever-increasing population of Nigeria. Families in Nigeria should plan for the number of children that they can take care of. This should be backed up medically. A law should be passed and implemented concerning the issue of birth rate in Nigeria. If almost all the Nigerians were well educated, they would be aware of the dangers of over-population and would take good precaution to fight against it. Most women in Nigeria rely on marriage as the only way of survival; this is what often leads to early marriage. If women in Nigeria are well empowered, I believe over-population would find its leave. Nigeria has a very low standard of living. For instance, the electrical power supply is not enough for the large population, impoverished economy etc. In Nigeria, very few are rich, so many others are struggling for survival. Nigerian population density is increasing very fast. In the next fifty years, it will be doubled and higher than ever. Thereafter, poverty, scarcity, and crime would sit down to rule and enslave the Nigerians. If the population growth is controlled, 50 % or higher of all Nigeria’s problem would be solved. No Response yet for "Over Population and its Adverse Effects on the Giant of Africa"